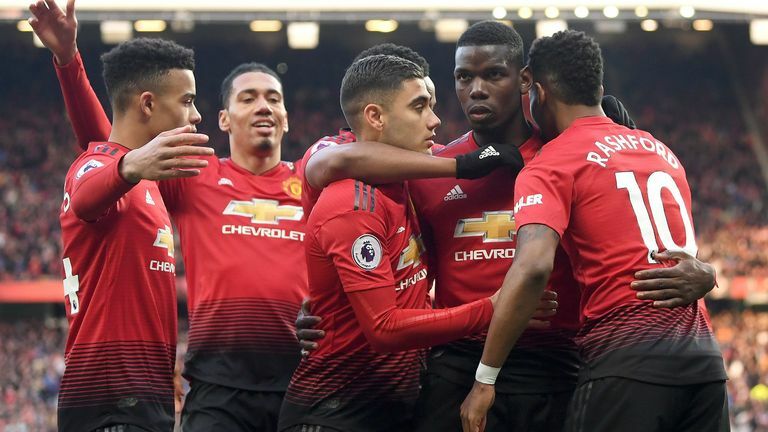 Manchester United and Bournemouth secured big victories while Brighton's relegation fears intensified in Saturday's Premier League action. 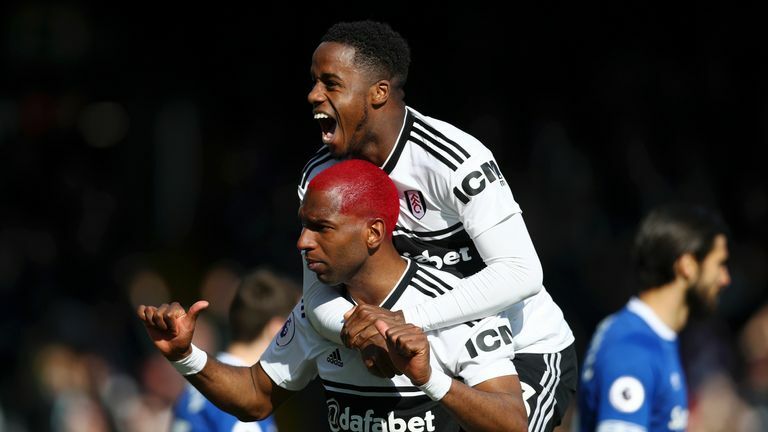 Ryan Babel then notched his fourth goal of the season (69) during a team performance that provided plenty of encouragement for the hosts heading into next season and belied Fulham's position as one of the two teams already relegated. The win moved Ole Gunnar Solskjaer's side to within two points of the Premier League's top four but the result was harsh on the Hammers. Brazilian cancelled out Pogba's first, contentiously-awarded penalty shortly after half-time. Highlights from Manchester United's win against West Ham in the Premier League. 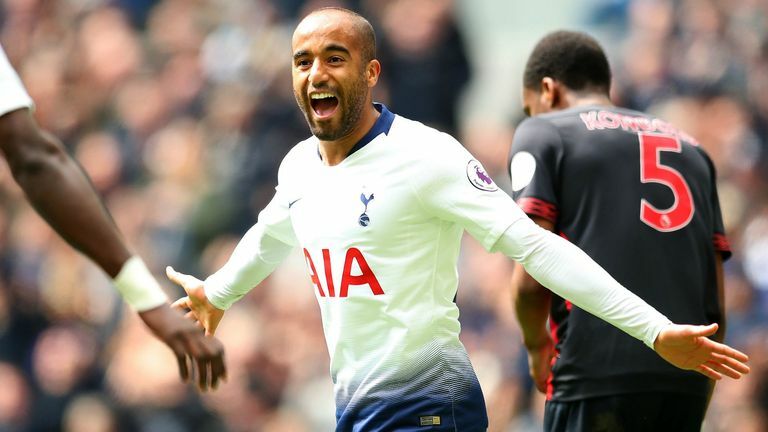 Moura became the first player to hit a treble in Spurs' new home, in which they stretched their winning run to three games and moved up to third in the table. Highlights from Tottenham's win over Huddersfield in the Premeier League. Wood headed home from a Dwight McNeil corner to cap a dominant first-half performance but Neil Warnock's side were seething early in the second period after being denied a penalty. 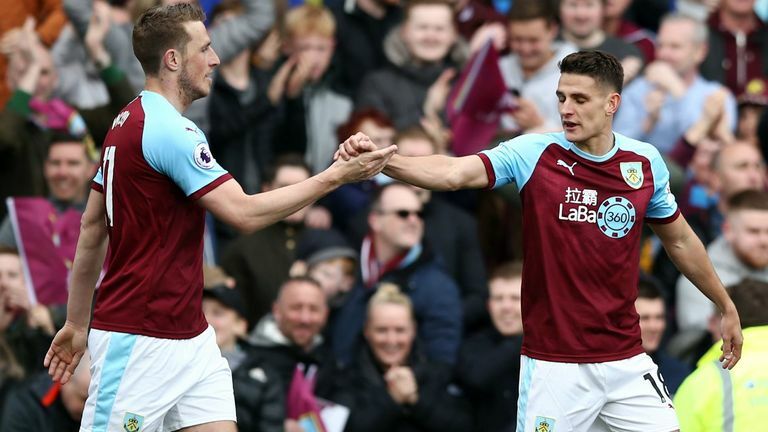 Highlights from Burnley's win over Cardiff in the Premier League. Cardiff's survival hopes could now rest on their midweek trip to ailing Brighton who were hammered 5-0 at home by Bournemouth. Eddie Howe's side wrapped up an emphatic victory with further goals from David Brooks, Callum Wilson and Junior Stanislas. 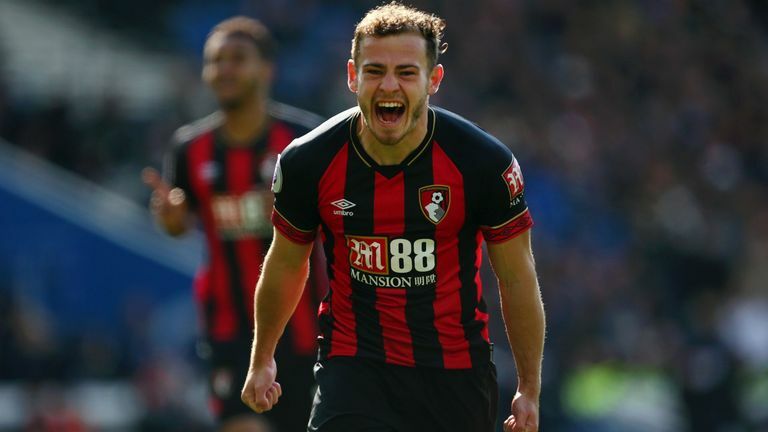 Highlights from Bournemouth's win over Brighton in the Premier League. 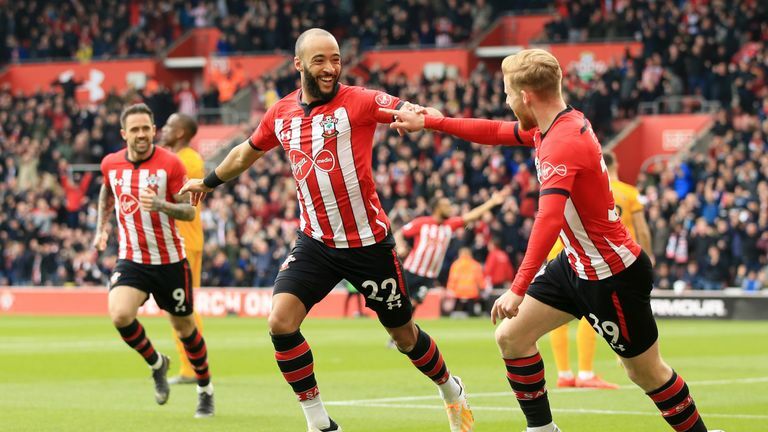 Nathan Redmond's first-half double sent Southampton on their way towards safety as they wrapped up a 3-1 win over Wolves. Highlights from Southampton's win over Wolves in the premier League. Willy Boly's header after 28 minutes had temporarily hauled the visitors back on level terms but Redmond put Saints back in front two minutes later, and Shane Long secured the points after 71. Highlights from Fulham's win over Everton in the Premier League. Tom Cairney struck his first Premier League goal early in the second half and Ryan Babel clipped his side's second over Jordan Pickford to secure Scott Parker's first win as caretaker boss.